The buzz around ‘extended oil change intervals’ for passenger cars and SUVs is everywhere. Most vehicle manufacturers are recommending longer oil change intervals. Oil companies are offering oils that they promote as having extended life. And motorists, pressured by the challenges of a tight economy and a hectic lifestyle, like the prospect of fewer trips to get their car’s oil changed. There are a few issues with extended oil change intervals. One is the quality of product used. The oil filter needs to have the require a capacity and efficiency to stand up against the impact of dirt, dust and engine contaminants over an extended period of time. 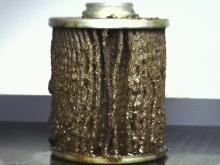 As an owner that wants to protect your engine, know that not all oil filters are equal and a discounted oil change will probably be using a less quality filter that just can not stand up. Two other considerations with selecting an oil filter are filter efficiency; a measure of the percentage of particles of a given size that a filter is able to capture, and construction; materials and construction that are able to withstand the added demands of extended service. “Fortunately, It’s not necessary that you know all this,” says Gary Gunter Service Specialist at Quality Automotive and Smog. “You simply need to know that as the intervals between oil changes increases, it is all the more important to visit a shop that will install a high quality filter”. Additionally, Gunter stresses that inspection of the entire vehicle at this time is also important. More time between visits to the shop means more time for problems with the vehicle to go undiagnosed. Quality Automotive and Smog is proud to provide a ServicePlus partnership with all customers. They provide a Oil Service that includes an inspection for the vehicle. Each customer receives a Red Check inspection detailing the condition of various systems on the vehicle. This inspection provides the customer with recommendations for services that maybe needed immediately and what to plan for down the road. "As Your Trusted Local Auto Care, our aim is to keep you on the road to your next adventure," quote owner Bill Greeno. "Whether your dropping the kids off at school or dropping in to a run of fresh tracks on snow or dirt, know that your vehicle will get you there."